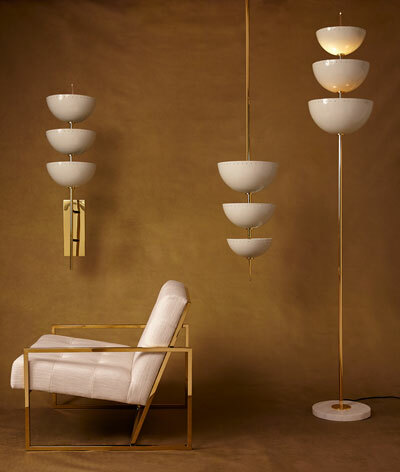 Iron lamp with hammered, polished brass base. Hardback shade with rolled edges and gold foil lining inside. Finish may vary. 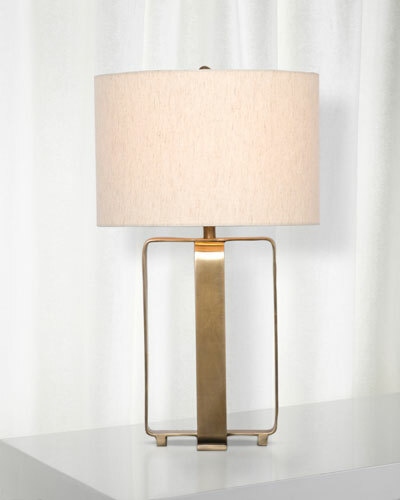 Iron lamp with hammered, polished brass base. Hardback shade with rolled edges and gold foil lining inside. Finish may vary. Uses one 100-watt bulb. Three-way switch. Overall, 14"W x 9"D x 28"T. Cord length: 10 ft. Imported. Glass and steel table lamp. Opal swirl glass pattern will vary. Shade dimensions: 11"W x 10.5"T. Uses one 150-watt bulb. Glass and steel table lamp. Opal swirl glass pattern will vary. Shade dimensions: 11"W x 10.5"T. Uses one 150-watt bulb. Overall: 10"W x 7"D x 18"T. Cord length: 8 ft. Imported. Boxed weight, approximately 25 lbs. 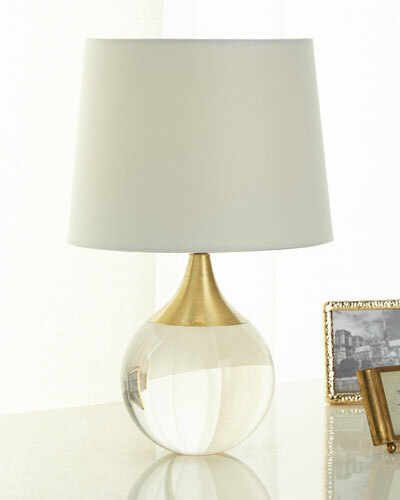 EXCLUSIVELY AT NEIMAN MARCUS Blush pink reverse-painted glass orb lamp. Square optic crystal base; crystal ball finial. Polished steel accents. 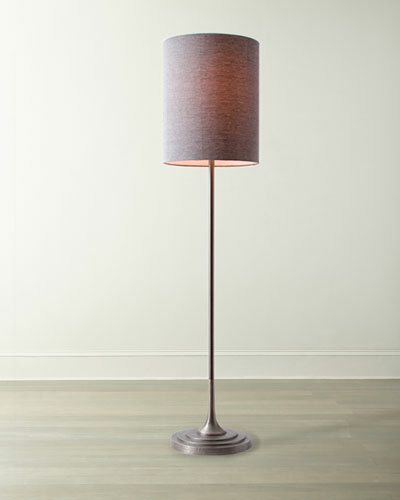 EXCLUSIVELY AT NEIMAN MARCUS Blush pink reverse-painted glass orb lamp. Square optic crystal base; crystal ball finial. Polished steel accents. White polyester/silk drum shade. Uses one 60-watt bulb. 12"Dia. x 18.5"T. Imported. 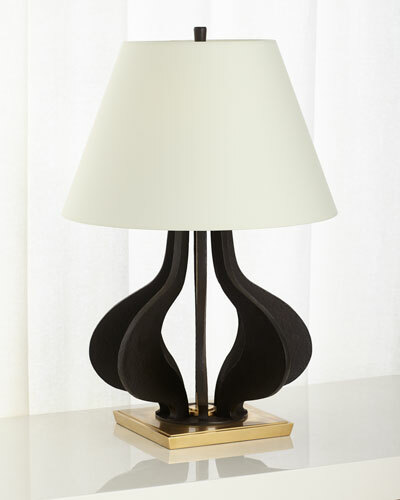 Handcrafted table lamp. Glass body with acrylic base. Classic, chic contemporary style. Uses one E26 150-watt bulb. Shade dimensions: 17"Dia. 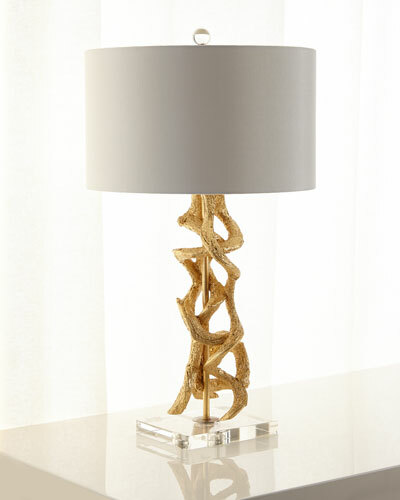 Handcrafted table lamp. Glass body with acrylic base. Classic, chic contemporary style. Uses one E26 150-watt bulb. Shade dimensions: 17"Dia. x 10"T. 17"Dia. x 30"T. Cord length: 6 ft. Imported. Boxed weight, approximately 7.7 lbs.